Venezuela normally conjures mental images of tropical shores, sight fishing for bonefish while sipping tequila on a pancake flat, but that is all about to change. 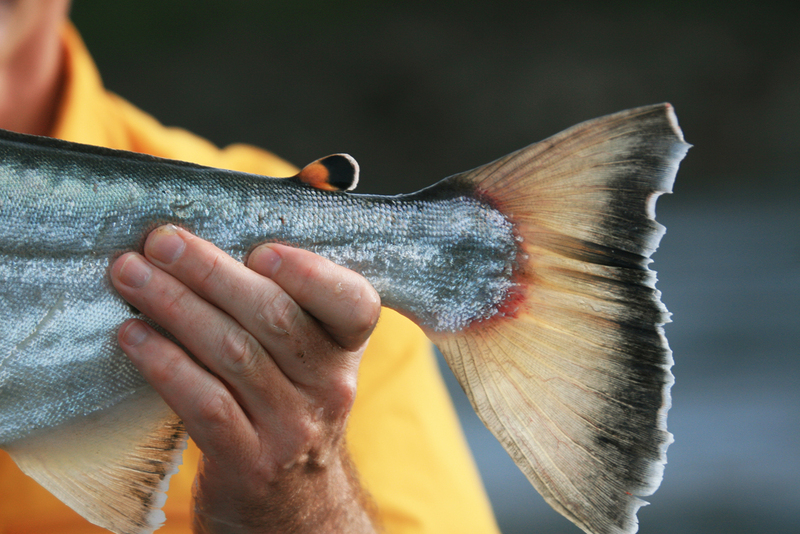 Adventurous fisherman are always looking for new destinations that push the boundaries of fly fishing and we, the Aardvark Mcleod team, have been working on an exploratory trip into the Venezuelan rainforest after a sought after species, payara. A number of years ago, with the help of local Indians, what could possibly be the hottest spot for one of the least spoken of predatory fish was discovered. 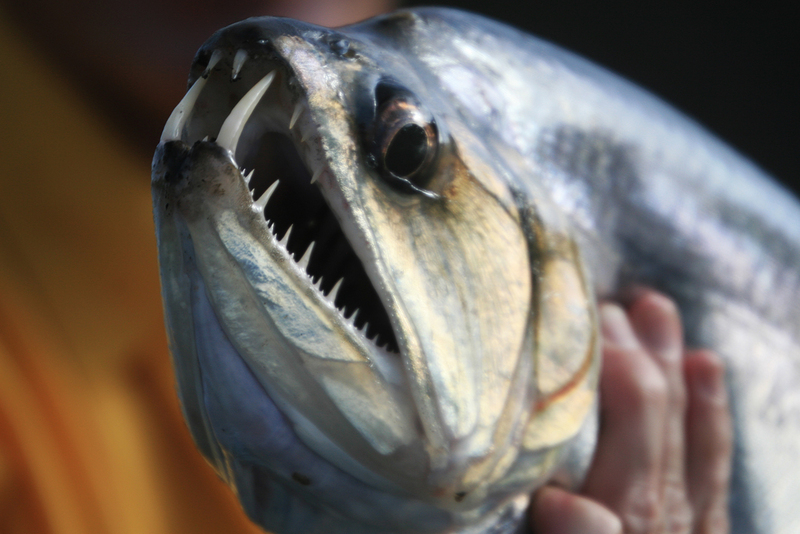 Unlike gentle and sophisticated bonefish, this Dracula of the fishing world has a fanged mouth that crunches the balsa out of big Magnum Rapalas. 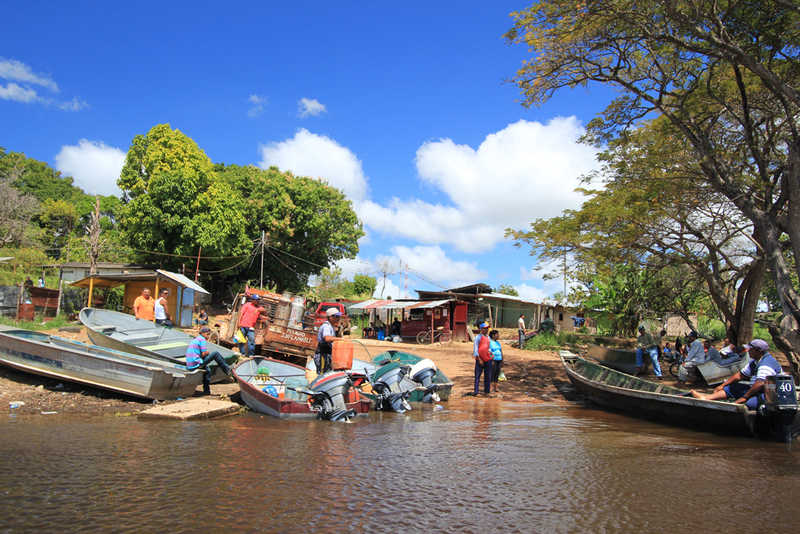 Payara are found in a few South American countries, but seldom in the concentrations that allow a fisherman to specifically target them. Normally elusive, one mostly hears stories from other fishermen who’ve crossed paths with them. People describe payara as silver terrors, which are incredibly aggressive with a toothy maw that reminds you of mythical vampire figures. 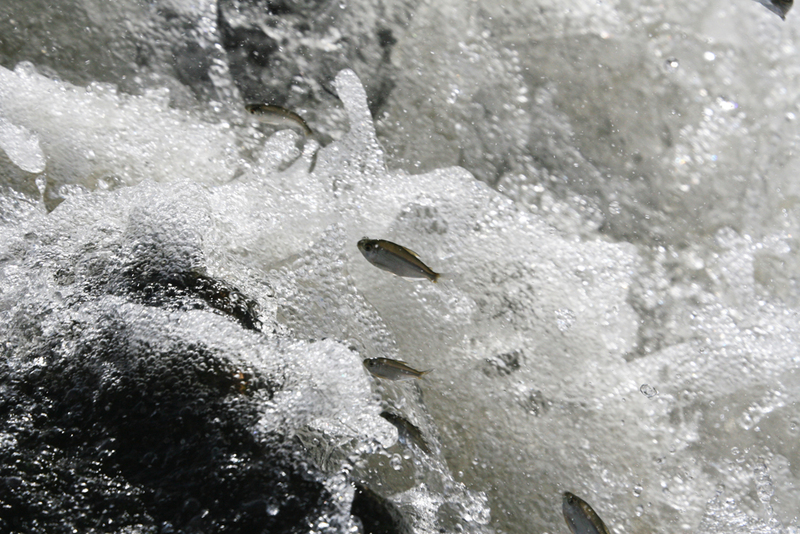 For three months of the year the water level in the Paragua River drops significantly, and a payara migration begins as the fish move upriver and congregate in a 1 ½ mile section below a series of water falls to feed. 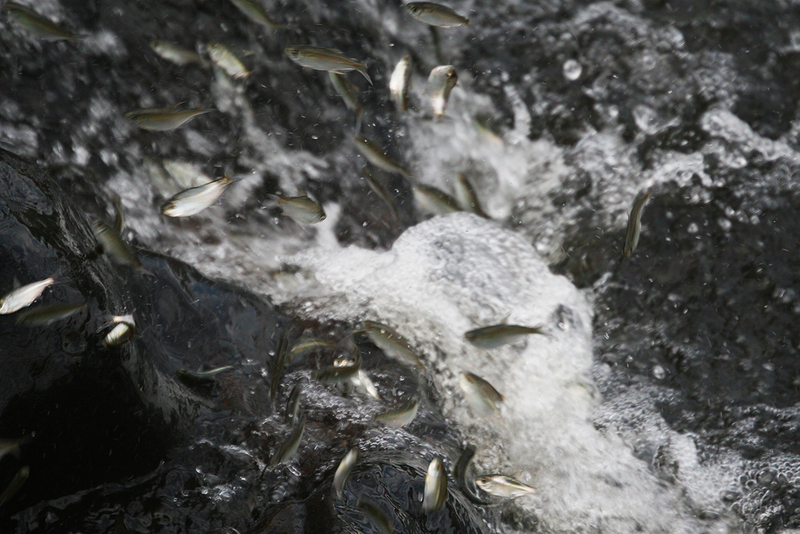 The dropping water rings like a dinner bell as they chase the thousands of coporo and curvinata baitfish migrating upstream to breed. If they make it past the waiting payara they still have to jump the falls. Ian MacDonald, Fred Richardson and I stood open mouthed as we watched hundreds of fish of all shapes and sizes trying to jump the falls like migrating salmon. Every so often in the cauldron below, showers of fish would explode from the water trying to evade the blood-thirsty fangs of payara that hide in the trenches. 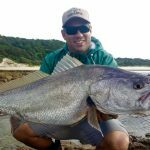 Payara are one of the most aggressive freshwater species I have had the pleasure of fishing for, and these fish even give large tiger fish a run for their money. Their unique needle-like teeth are also equipped with a slicing edge that cuts through flesh like a steak knife through cooked hake. The fangs on the lower jaw slot into large holes in the front of the skull, and if a fang is lost, another comes forward in the jaw to replace it within a few days, just like sharks. 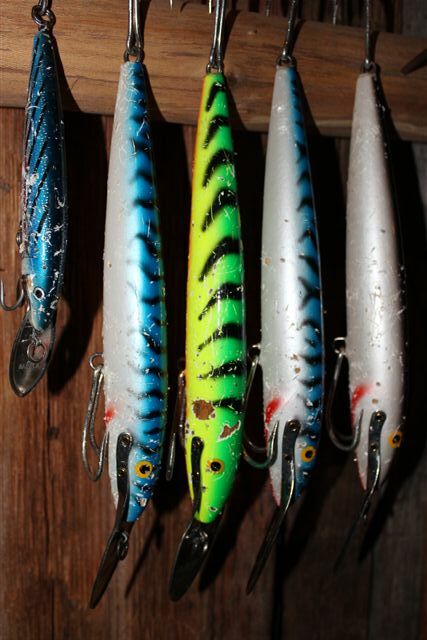 You will need a large supply of terminal tackle as these fish will chew up flies, wire leaders (I had a titanium leader bitten clean through), and even Rapala lures. Lures would come back with tooth imprints all over them and even the odd embedded fang. Payara tend to hit the lure or fly side on in a slashing motion and then just go nuts, charging off across the current and performing extraordinary acrobatics. They run like a bonefish and jump like salmon and we were all astounded by their speed and power. 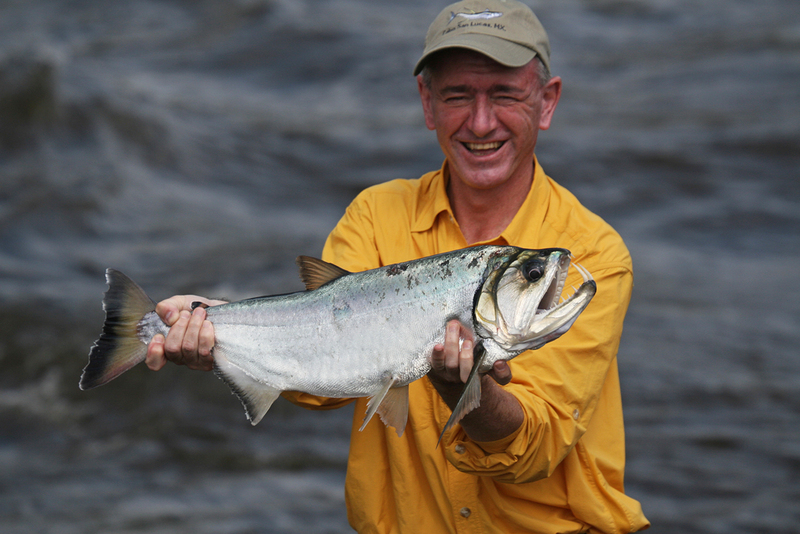 In my experience, Uraima Falls must be the equivalent for payara fishing of what La Zona offers for dorado fishing. The three of us banked or boated 210 payara in four days of fishing on a combination of fly and lures. The conversion rate of hook-ups to fish landed was calculated to be in the region of three to one, so over 600 fish were hooked by the three of us. Fish of note were three fish of 28 lb, 24 lb and 22 lb respectively, but most of the payara were between 8 lb and 12 lb. Unsurprisingly, this area also holds the current IGFA record for payara: 39 lbs 4 oz. I need to go back to South America! My god. I need this.